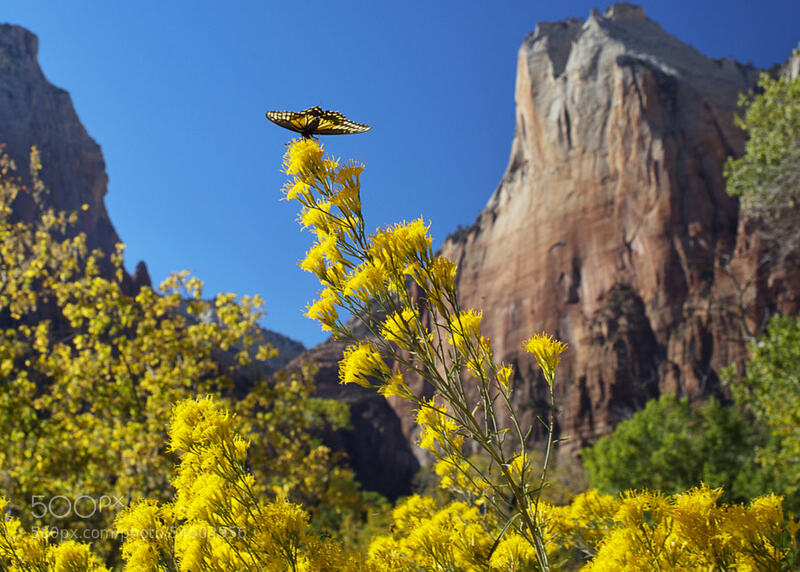 We saw this image of a butterfly in Zion and just had to share it. It combines the massive, stunning beauty of the canyon walls in Zion; with the simple, small, and delightful view of a butterfly. The yellow flowers only add to the drama of the image, making you wish you had been there to witness it yourself. That’s how we know when to post or share an image or video of Zion. If it makes us wish we were there right now soaking in the sun, or stooping down to see a pretty little butterfly, then we know we’ve found the right thing to post on our blog.